I made these to share with my co-workers as a "thank-you" gift for being my co-workers for the past year. They were quite thrilled with them and, I must say, I was not disappointed. 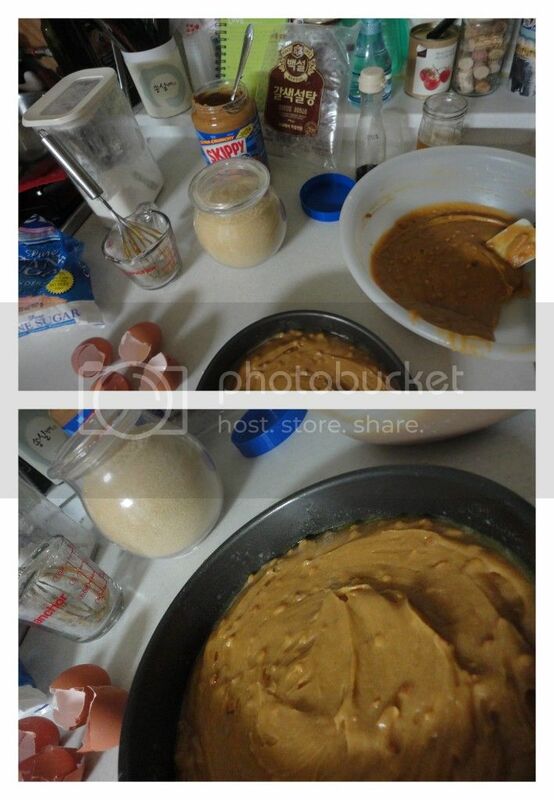 In a bowl, blend together 1/2 cup Peanut Butter, 1/4 cup Butter, 1 tsp. Vanilla and 1 cup Brown Sugar. Add 2 Eggs, one at a time, beating well after each addition. Stir in 2/3 cup Flour. Spread batter in a well-greased 8x8 baking pan. Bake at 350 (177) for 20-30 minutes until golden and bake through (use the toothpick test). Cool and enjoy or add a peanut butter icing of 1 cup Peanut Butter blended with 1/3-1/2 cup Powdered Sugar.